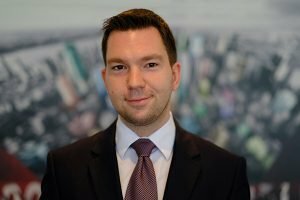 Igor Živkovski, Živković Samardžić Corporate and M&A Partner has been appointed president of the Foreign Investors Council’s Legal Committee. Prior to this appointment, Igor was Committee’s Vice President, as of April 2016. Foreign Investors Council (FIC) was established in 2002 as a promoter of the investment conducive business environment and solid business ethics and is currently connecting more than 120 members with investments of over EUR 34 billion and more than 97,500 employees in Serbia. Legal Committee is one of FIC’s eleven specialized and seven cross-sectoral committees, aiming to advocate for improvement of the overall legal framework by closely monitoring the work of Serbian authorities and generating proposals for its improvement. Legal Committee has developed a practice of organizing roundtables in order to present to the authorities FIC positions on specific draft laws or on the issues regarding implementation of the existing regulation. For more information on FIC Legal Committee activities and the full list of its members, please follow this link. Živković Samardžić is one of the Serbia’s leading full-service independent law firms providing top quality legal service to a diverse range of international and national clients, from SME to Global 500 companies. Igor Živkovski, Živković Samardžić Corporate and M&A Partner, graduated at the University of Belgrade Faculty of Law in 2010 and is with Živković Samardžić since 2013, after two years with another reputable law firm in Belgrade and six months internship at the United Nations International Criminal Tribunal for the former Yugoslavia (ICTY). He specializes in Corporate and M&A and is also an experienced Tax Lawyer. For several years now, Igor participates actively in drafting several sections of FIC’s White Book, an annual publication that serves as a proclamation of the private sector on the business climate in Serbia, transparent platform for dialogue with the authorities and valuable set of recommendations on how to improve business climate in Serbia. At the same time, he represents FIC in working groups drafting legislation on Investment Funds, Alternative Investment Funds and Foreign Exchange Operations.